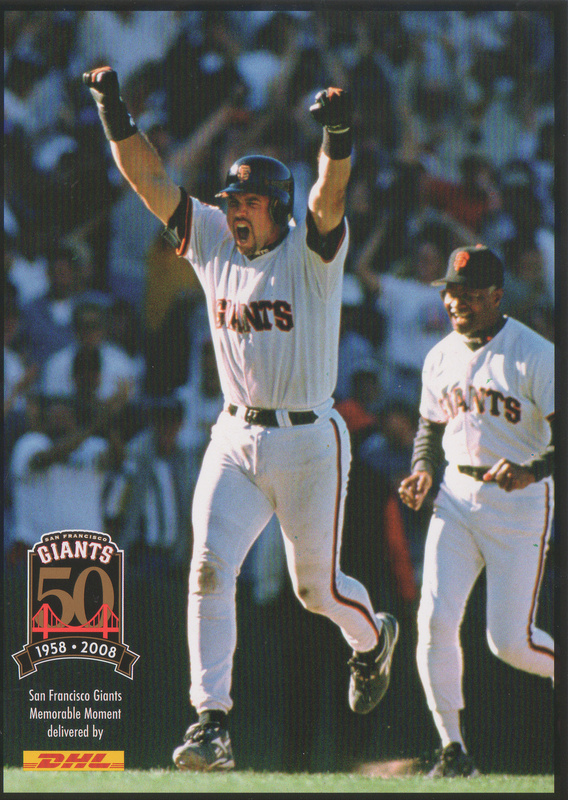 As an FYI, the postcard is from when I went to a Giants game – it was a free giveaway! Nolan Ryan threw the most no-hitters, physically. But emotionally, it was Barbra Streisand. Don’t believe me? Just ask Santa Claus. Barbara Streisand is my favorite person next to Wilford Brimley…whom Mr. Hendrik is trying to kill. 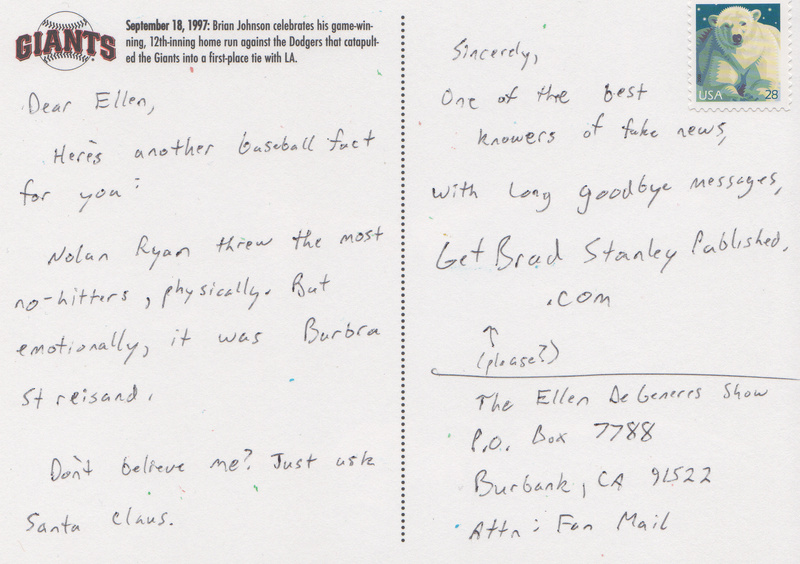 I’ll let you know if I see your postcard on Ellen..I mean, I’ll ask my gf to let me know, then I’ll let you know. Damn.